We may collect Personal Information from Users in a number of ways, including, but not limited to, when Users visit the Site, subscribe to our email list, make a purchase from us, and in connection with other activities, services, or resources we make available as part of the Services. We will collect Personal Information from Users only if they voluntarily submit such information to us. Users can always refuse to supply certain Personal Information, except that it may prevent them from using certain Services. If a user purchases tickets and/or RSVP’s to an event we may collect their name and email in order to have their name on a guest list or at will call or to send them further information about the event. If a User decides to opt-in to our mailing list, they will receive emails that may include news, updates, and event invites as well as marketing and promotional content. 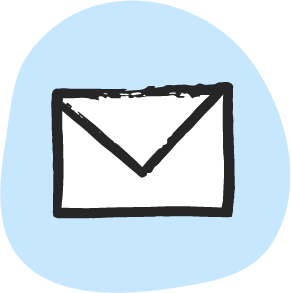 If at any time a User would like to unsubscribe from receiving future emails, we include unsubscribe instructions at the bottom of each email or a User may contact us via the Site. We continually strive to improve our Site and the Services we offer based on Information and feedback we receive from Users. We may use this Information to determine which features and functions of the Services Users like best to help us operate the Services, enhance and improve the Services and display advertising and marketing information based on the use of the Services and other websites, services and platforms Users have used or visited. User information helps us to more effectively respond to customer questions, comments, complaints, requests and other communications. TWHP may share User Information with its affiliated companies, third party partners and advertisers for the limited purposes described herein. We may also disclose User Information to third party service providers we engage as contractors or agents to help us operate our business and the Services, such as providing payment processing, email marketing services or fulfilling orders for event tickets or merchandise. We may share your Information with these third parties to the extent reasonably necessary for them to perform these services on our behalf. The Services and/or third parties may use “cookies” (which are small data files containing information about you that is stored on your device), “embedded scripts”, and other similar tracking technologies (collectively, “Tracking Technologies”) to collect Additional Information automatically as Users interact with the Services. As part of the Services, we may also use a variety of third parties, including advertising networks, data exchanges, traffic measurement service providers, marketing analytics service providers and we may provide links to sites and services of our partners, suppliers, advertisers, sponsors, licensors and other third parties to, for example, serve advertisements on the Services, facilitate targeting of advertisements and/or measure and analyze advertising effectiveness and/or traffic on or in connection with the Services (“Third Party Providers”). Such Third Party Providers may enable us to display advertisements based on the use of the Services and other websites, services and platforms Users have used or visited. We do not control the content or links that appear on these sites and are not responsible for the practices employed by websites linked to or from our Site. In addition, these sites or services, including their content and links, may be constantly changing. These sites and services may have their own privacy policies and customer service policies. Browsing and interaction on any other website, including websites which have a link to our Site or Services, is subject to that website's own terms and policies. For more information about Third Party Providers and similar entities that use tracking technologies, see www.aboutads.info/consumers, and to opt-out of such Third Party Providers advertising practices, go to www.aboutads.info/choices. Where necessary for the purposes of TWHP’s or a third party’s legitimate interests, such as those of visitors, members or partners. Keeping the Services safe and secure. We do so as it is necessary to pursue the legitimate interests of TWHP and its members in ensuring the Services are secure, and to protect against fraud, spam and abuse, etc. Access to certain Information that is collected from our Services and that we maintain may be available to you. You may send an e-mail to hello@wildhoneypie.com requesting access to or correction of your Information. Please include your registration information for such service such as first name, last name and e-mail address in the request. We may ask you to provide additional information for identity verification purposes, or to verify that you are in possession of an applicable email account. If you are a resident of the European Union (“EU”), TWHP is the controller of your personal data for the purposes of EU data protection law. We never collect or maintain Information through the Services from anyone we actually know to be under the age of 13, and no part of the Services is structured to attract anyone under 13. If you are under the age of 13, you may not use the Services, including registering for or providing any information about yourself in connection with the Services, participating in any sweepstakes, contests, social networking features, or engaging in other activities that collect and/or permit you to enter information about yourself. If a parent or guardian becomes aware that his or her child has provided us with Personal Information without their consent, he or she should contact us at hello@thewildhoneypie.com. If you are a resident of the State of California, we provide you with information on how to exercise your disclosure choice options such as your right to opt-out (which we may sometimes refer to as “unsubscribe”) with respect to use of your Personal Information by third parties for marketing purposes. Therefore, pursuant to the California Civil Code, we are not required to maintain or disclose a list of the third parties that received your Personal Information for marketing purposes during the preceding year. If you are a California resident and wish to request information about how to exercise your third party disclosure choices, please send a request by email to us at hello@thewildhoneypie.com. All requests must be labeled “Your California Privacy Rights” on the email subject line. For all requests, please clearly state that the request is related to “Your California Privacy Rights”, include your name, street address, city, state, zip code and e-mail address (your street address is optional if you wish to receive a response to your request via email) and indicate your preference on how our response to your request should be sent (email or postal mail). We will not accept requests via the telephone, postal mail or by fax. We are not responsible for notices that are not labeled or sent properly, or do not have complete information.